Q-Park is one of Europe’s leading parking service providers. Dedicated to better parking, Q-Park stands for Quality in parking and is known for high quality, secure, clean, and well-managed parking facilities across Europe. In 2015, Q-Park came to us for a short term off the shelf ecommerce solution while they developed a custom solution. We were tasked with the job of going from brief to launch in just 5 weeks, creating a bespoke season ticket ordering system, while keeping within the constraints of our Instantcart off the shelf solution. 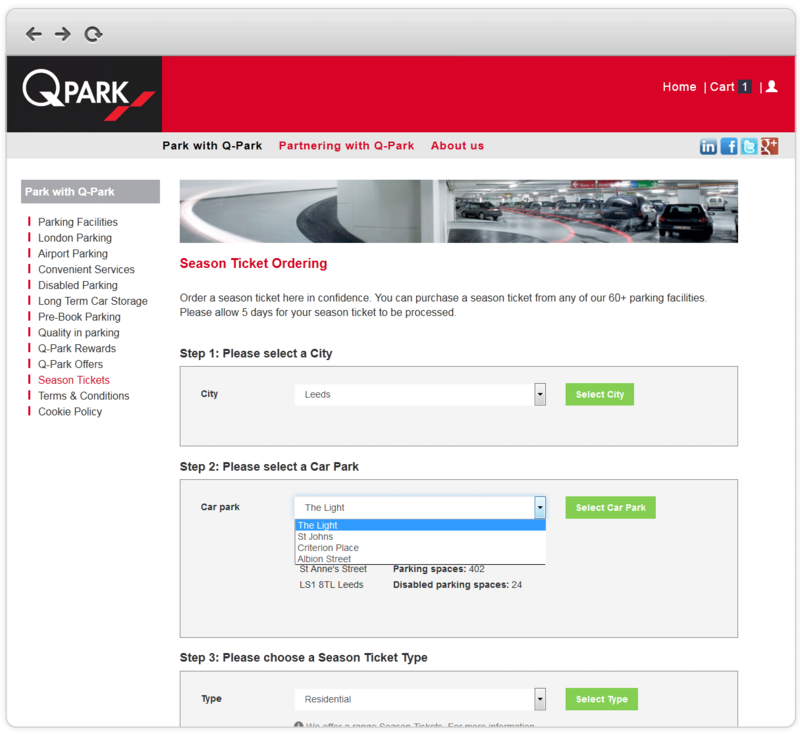 Since it’s launch, the solution has been a hit, running for nearly 3 years before being superceeded by a custom solution for consumer season ticket sales, however rather than discontinue what was meant to be a short term fix, Q-Park is now using the platform for corporate season ticket sales. 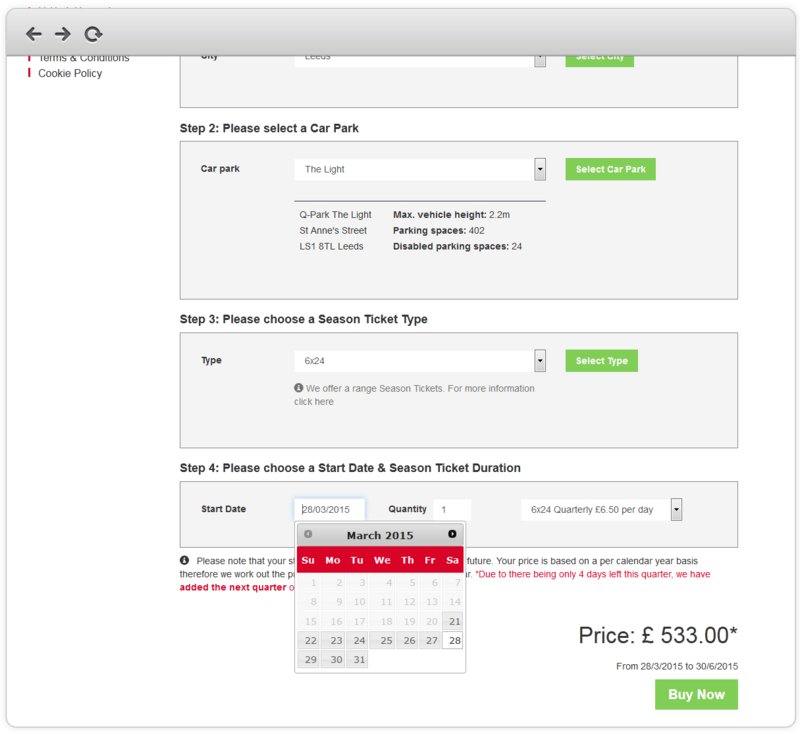 We were looking for a cost effective off the shelf e-commerce solution that could be customised to provide our UK customers with a facility to order season tickets for our 60+ car parking sites situated throughout the U.K. InstantCart, allowed us to deploy a cost effective and efficient solution within a tight five week time period, encompassing a number of specific requirements such as date based pricing calculations and an email based customer renewal notification system. The outcome has been better than we expected and we’re really pleased with how the system has performed.